Adventure in the depth of the desert, safari to the western desert oases, and quicksand in the Sahara desert and the Sinai desert are all adventures will glamorous your mind. Accelerate your engine, and driving quad bikes in the eastern desert. Experience climbing mountains of Sinai. Test the camping in the white desert experience than reality. Discover all the unexpected, diving in the coasts of Egypt will reveal the underwater treasures and spectacular life under the sea. You can choose to go for a visit to the German submarine and dive to see the wreck of the ship nabolionih, or diving in the coral reefs of the Red Sea Or explore the underwater debris in the Mediterranean dating back to the golden age of the Pharaohs until the time of Cleopatra. If you are not interested in diving but you enjoy water activities, take advantage of the wind in Egypt The water-boarding of ships in Safaga is one of the most exciting activities. Discover a range of adventure trips and start planning for your own adventure in Egypt. 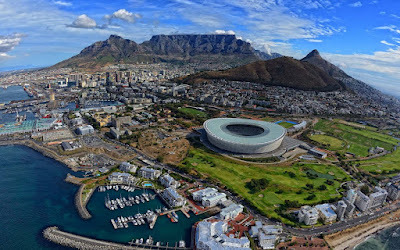 Get an overview of the attractions and activities that will quench your thirst for adventure. Whether you choose to sail on the Nile along Egypt or to ride a horse across the Sinai mountains, adventures in Egypt will glamorous your mind. 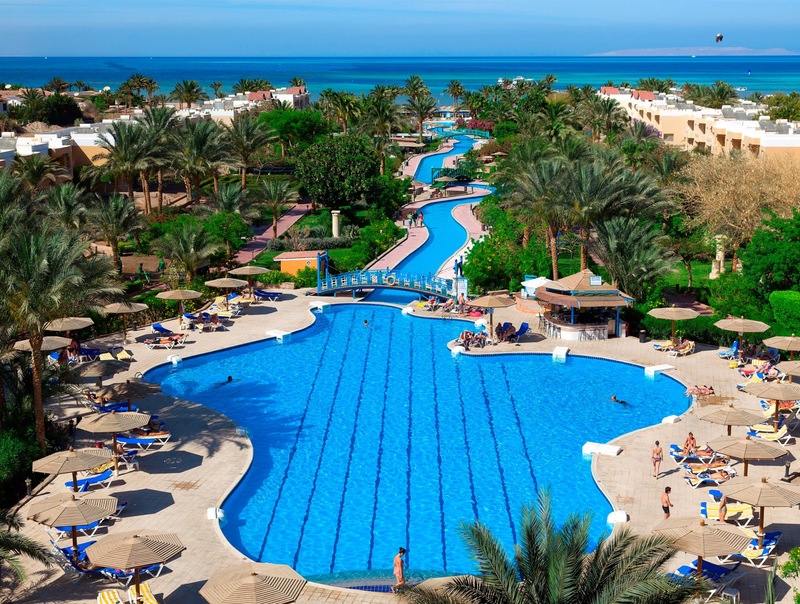 You will have the opportunity to sail in summer vacation in Hurghada, which provided probably your hotel or dive and water sports centres located there. If you haven't experienced the exciting sailing before, take it your vacation in Hurghada ideal time and place to do it. 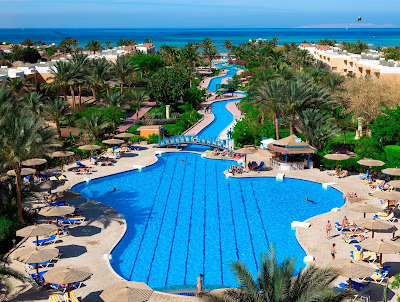 Most comprehensive integrated resorts of Hurghada offers parasailing within her sports water, can provide individual ride or class bilateral or even trilateral. 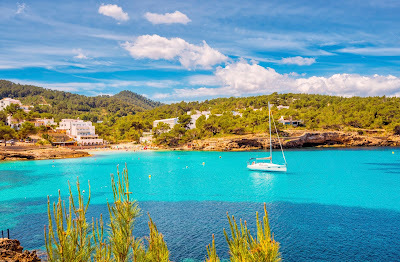 Giving you the chance to see the beautiful views of the beach ,the eastern desert and Mountains of good altitude, which quickly forget that you are floating in the air and hang from the canopy via speedboat. But don't worry! Please note for beginner parasailing is not as difficult as imagined, it is easy and anyone can practice even children ranging from age 5. You'll travel to the desert to find out what is believed to be the best site for sand dune skiing globally for the wealth of its soft and deep, sand dunes up to 140 m high ,if that were not enough for you, there are scenes of breathtaking landscapes from the vast desert which surrounded you from all sides during your skiing. You can go to the Pacific sanding through you're skiing in the ski trip or camping camp or a day trip on the condition that be guided. The dune varied in forms and sizes to suit everyone, and you'll inevitably find the best suited dune to skiing on the sand. Please feel free to visit the desert with a group of friends to spend the night under the sky full of stars near the sand dunes in the Western Sahara. Experience the silence of the desert night after watching the spectacular colors of the sunset in the desert. Be sure to inform the tourist office before going camping, leave only footprints behind you. Dahab Creek deep rocky that people talk about more than other sites, is one of the most exciting places to dive in the Sinai. "Dahab Creek" near the blue hole and enjoy the same reputation, but more dangerous. swim a bit away from elssalah Bay to find yourself in front of a huge Rocky Summit descend to a large underwater entrance. So passage through this portal, you will find yourself amidst an environment boasts with various forms of life and the beauty of unimaginable in this rocky creek..
stunning depth of the hole is a great spectacle. Professional divers find themselves attracted to the arch connecting the blue hole and the open sea but that whole site is fantastic in itself, scenes of light configurations and plant and animal marine life left in the same visitor unforgettable memories. . The blue hole is one of the most enjoyable activities inshore diving for what is available in this spot where the witch mountain scenes meets with sea water. the ship remains intact to this day, despite the hard and soft corals covering some parts. The ship lies at a depth of between 40 to 50 meters. You can see the mast of the ship from the depth of 17 meters. Would not be allowed to dive to the depth only for experienced divers: where reduced visibility, and currents are very strong in this region, it is necessary to use professional scuba equipment. The site can be reached by boat from the port of Hurghada, or by boats long flights. Climbing Mount Sinai - which was mentioned in the Bible - down to its Summit height 2285 m , special experience not encounter only in a few sights in the world. 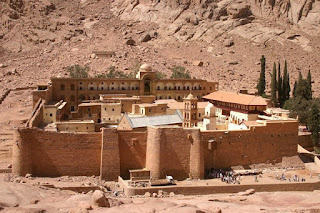 It's the spirit of meditation and spiritual emotions upon seeing scenic and the supernatural, all in combination constitutes a inspiring beset by secrets, especially when you tour the walk at night along the Rocky corridor under the starry sky, you track everything that surrounds you in the light of candles of some Visitors headed to Mount Sinai. There are two ways to climb Mount Sinai, one of them by using ' Arabic camels road ' which discovered by Abbas Hilmi Pasha of Egypt. It is preferable to follow this road to climbing the mountain, either to go down, it uses the route with the ladder which was built by the monks of the monastery. You can ride one of Arabic camel and walking on arcade Hilmi Pasha, where you will find offers you snacks and soft drinks from some small stalls along the road. Take a tour on a quad bike to see the charming landscape around Siwa. You will find many places to hire quad bikes inside the OASIS, must take a tour and see a sunset or sunrise and change system colors in the surrounding desert. You do not need specific expertise to exercise this fun activity ; all you have to do is to take a scarf and sunglasses, or goggles to protect your face from the sand, go with one of the guides. Tiran Island is a place you must visit every vacation in Sharm el-Sheikh, because it exists at the entrance to the Straits of Tiran.